Tripster has everything you need to book a complete Williamsburg vacation. From local hotels with our lowest guaranteed pricing to the best deals on Colonial Williamsburg and other Williamsburg attractions like Busch Gardens, we make it easy for families to have an enjoyable yet budget-friendly trip. Even better, all reservations you make with us are 100% guaranteed, so relax and enjoy your getaway! I’m a theme park nut. And really, what’s not to like? Thrilling rides, exciting shows and indulgent food are at every turn. 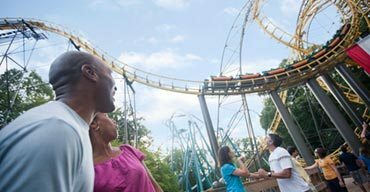 At Busch Gardens Williamsburg, which has been rated the most beautiful theme park in America again and again, the appeal is even higher. Imagine candlelight flickering and music by balladeers filling the air as you dine on savory cuisine. At restaurants in Colonial Williamsburg, you can experience 18th century taverns with historic settings, complete with servers dressed in fashions from the 1700s and meals designed from actual tavern receipts. 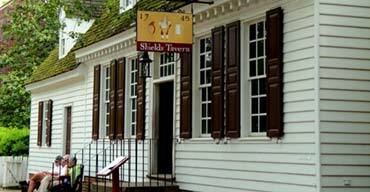 Pull up a chair to any of the dinner tables found at Colonial Williamsburg’s historic taverns to sample dishes enjoyed by patriots like George Washington, Thomas Jefferson, and Patrick Henry. Millions of people visit America’s historic triangle each year to see the birthplace of America. Sites like Colonial Williamsburg, Jamestown and Yorktown offer affordable admissions but you’ll be happy to know there are several free things to do in Williamsburg VA, too. Read on to discover 10 free things to do in Williamsburg, Virginia on your next vacation!